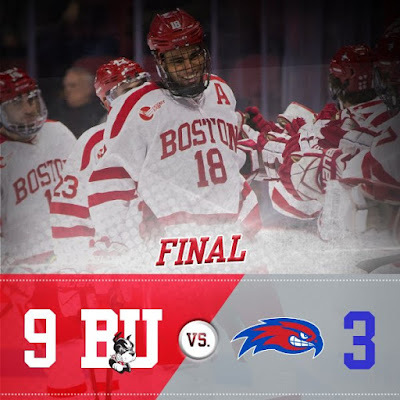 Junior Jordan Greenway’s first-career hat trick and two tallies by leading scorer Patrick Harper led a Terrier season-high nine-goal outburst as BU thumped Lowell in its final first-semester outing, 9-3. 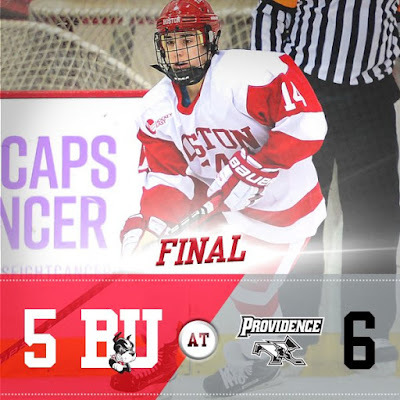 Chad Krys had a three-point night with a goal and two assists as BU evened its record in Hockey East at 6-6-1. For the second night in a row, Brady Tkachuk gave BU an early lead, taking an entry pass from Drew Melanson and connecting on a backhander that beat Tyler Wall. 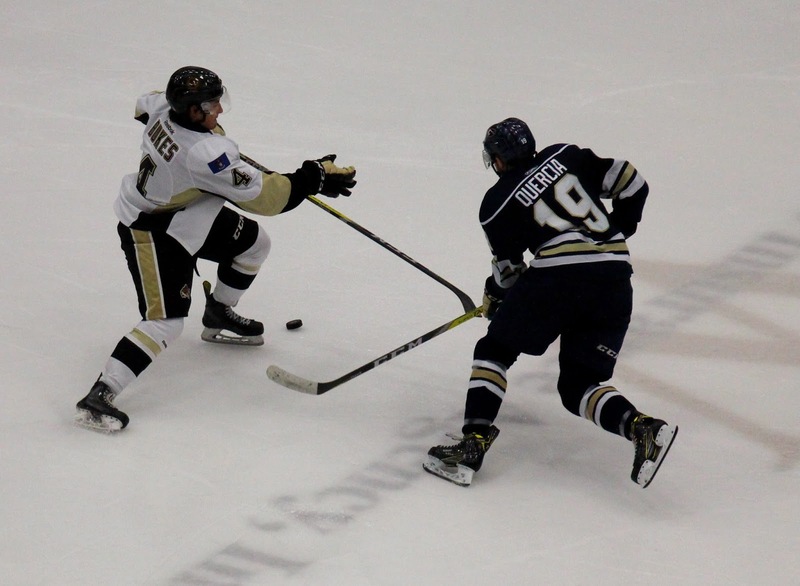 However, this time, the Terriers wouldn’t give up the lead; they built on it. Attacking while on the penalty kill, Bobo Carpenter dashed into the Lowell zone and found Greenway in the slot for a quick finish and a 2-0 lead just four minutes in. Late in the period BU extended the lead to three with a power play goal from Harper who closed to the right circle dot and wired a shot high to the glove side. Lowell got on the board a minute later when Jake Oettinger was bumped on a play behind the BU cage, leaving an empty net for Charlie Levesque. BU would pour it on in the second period. Krys, who had left the ice in pain after blocking a shot, returned to follow his own rebound and beat Wall with a backhander. On the ensuing faceoff, Greenway intercepted a pass just inside the Lowell blueline, skated to the high slot and wristed home a shot, high to the glove side. Cam Crotty tallied his first career goal on a shot from the right point through the five hole to make it 6-1 and end Wall’s night. BU’s onslaught was interrupted briefly when a defender was beaten to the puck behind the Terrier goal line, leading to a goal by Connor Wilson, unmarked right in front of Oettinger. Harper then scored his second power play goal on a sequence involving all five BU skaters and concluding with Greenway finding Harper in the slot for a quick finish. In the third period, after a Lowell power play goal, Kasper Kotkansalo collected the puck after Chase Phelps’ faceoff win, skated to the high slot for a wrist shot that beat Christoffer Hernberg, who was screened by Nikolas Olsson. 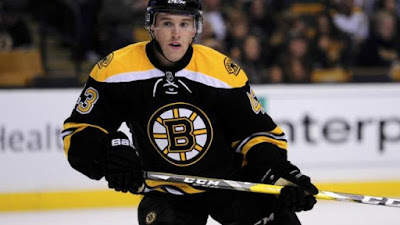 Greenway completed his hat trick banging home the rebound of Crotty’s shot from the right point. Carpenter, Shane Bowers and Phelps combined to win 27 of 38 draws. Senior John MacLeod who returned to the line-up for the Lowell series, played a strong defensive game and finished the night +4. Terriers fired 47 shots (24 in the first period) on the two Lowell netminders while limiting the Red Hawks to just 18 shots. Greenway led BU shooters with seven shots. Summing up the win, Coach David Quinn pointed out “We were ready from the drop of the puck. We played at a pace that we haven’t played in while.” He added,“You get nine goals, obviously that’s a great thing, but it was the way we did it. It wasn’t luck, it wasn’t bad bounces on their end. We earned it." ►This coming Wednesday, Terrier coaching legend Jack Parker will be inducted into theU.S. 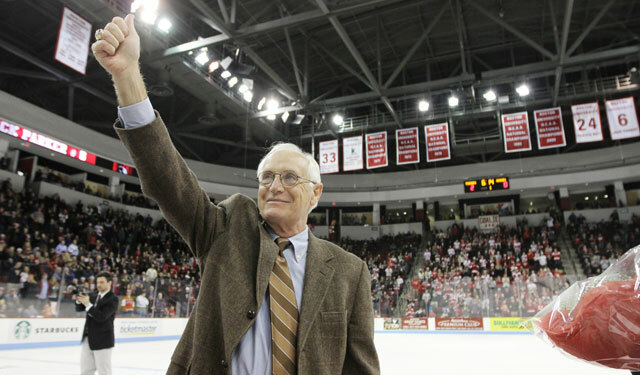 Hockey Hall of Fame in a Boston ceremony, along with Ben Smith, who served as a BU assistant and in several head coaching slots, and Scott Young, a former BU, NHL and Olympic standout, who spent two seasons as a Terrier assistant. NHL.com talked with Parker about how he became a college hockey coaching icon even though it wasn’t his career goal after graduation. 2018 recruit Joel Farabee had a hand in three goals for the NTDP U18s in their 4-2 win against Central Illinois. The forward from Cicero, NY scored once and added two assists while fellow recruit Jack DeBoer assisted on Team USA’s fourth goal. Farabee, who is ranked #12 by McKeen’s for the 2018 NHL Entry Draft, is the U18s’ second leading scorer with 24 points (12G, 12A). DeBoer has 12 points (3G,9A). 2018 or 2019 recruit Matt Quercia scored a goal and added an assist in Sioux Falls’ 4-3 overtime win against Youngstown. Matt Nieto scored a goal and added two assists and Colin Wilson also found the net in the Avalanche’s 7-3 win against Florida. Jakob Forsbacka Karlsson scored his eighth goal in the Providence Bruins 3-2 overtime win against Utica. Despite two more tallies from national goals leader Victoria Bach, BU dropped a 6-5 decision to Providence at Schneider Arena. The Friars took a 3-0 lead after one before Bach scored her NCAA-best 22nd and 23rd goals in the second period. Midway through the third period, pucks began finding the net. In a five minute span the Friars scored three times while Nara Elia scored for BU making the score 6-3. Mary Grace Kelley and Abby Stanley scored extra-attacker goals to cut the margin to one. A late Providence penalty had the Terriers with a 6-on-4 advantage in the final minute, but they were unable to produce an equalizer. Captain Rebecca Leslie contributed three assists while Bach extended her scoring streak to 10 games.